My wife teaches at a private school. 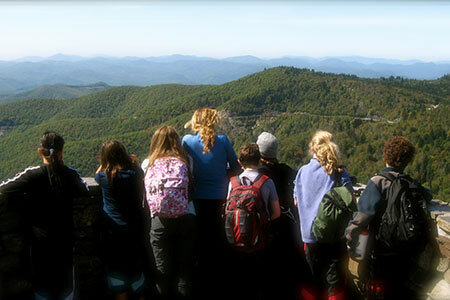 Each fall, her entire grade goes on an adventure trip to the mountains of North Carolina. For many of the students it is their first time away from home, and for many more, it's their first trip into the backcountry. 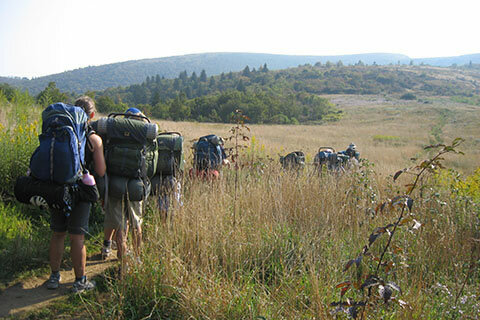 The students have to quickly learn how to eat, sleep, live, and travel in the mountains. When my wife returns from the trip (exhausted), I get to hear the trip stories. Every trip is different, but they all are successful. After this year's trip, one students' parents wrote a special note to each teacher (and included coffee shop gift cards!). The parents were able to see the positive effects the trip had on their child. The notes were gracious and thankful. So many things in life we take for granted, but if we understand their importance to humanity, we then seek the opportunity to be gracious. Wilderness areas are precious gifts. When we are gracious of the opportunity to experience the wilds ... we are then, thankful for the lands and are willing to accept the practices of responsible, environmentally correct, usage. We use the Public Lands with minimum impact because we see the importance of wilderness being wild and untrodden for ourselves and the generations to come. We extend our graciousness with the hopes that even more lands might be set aside and protected. Give thanks often - give special thanks to politicians, land managers, volunteers, etc. Kindly show graciousness to others, but also demonstrate through action. Give of money and/or time to help preserve the lands or promote programs. Treasure your time in the wilderness and share the experience with others. Demonstrate a reverence to nature's sanctuary. Treat the lands with care. Always practice and promote minimum impact usage. A moment of ... Wow! Be gracious for the opportunity to experience the wilderness and to share it with others.